Series of furniture objects manipulated to assembly new situations. 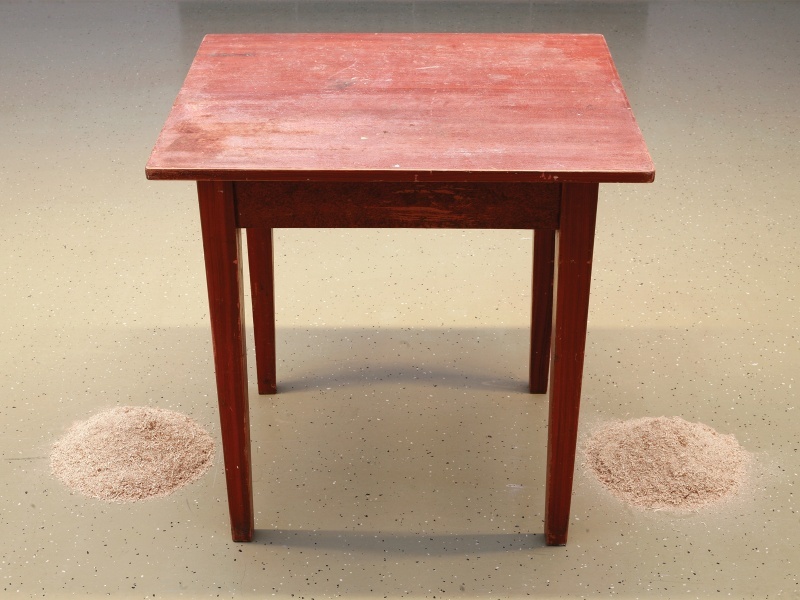 Table and chairs changed to a new kind of "post-dialogue" as the wooden chairs have changed its material quality into sawdust. The chair – now fully dismounted and hanged in the space – is no stabile any more, resembling human figure more than itself.